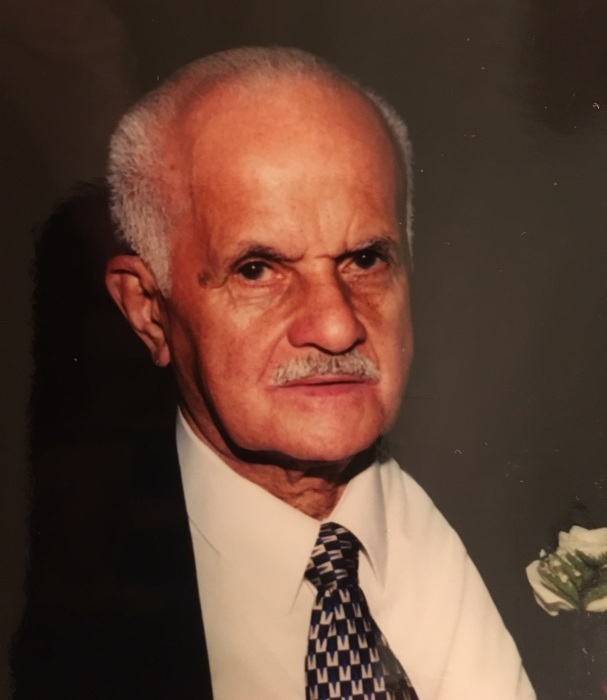 Augustin Merced passed away peacefully on February 5, 2019 at his home surrounded by his loved ones. Augustin was born to Gertrudis Merced and Esposito Cartagena on August 28, 1919 or 1918 in Guaynabo, Puerto Rico. Augustin met and married his wife, Felicita Floran Merced (predeceased, March 2, 2017) in Puerto Rico. He moved to New York City in 1951 with his daughter, Elizabeth. His wife and son, Augustin, Jr. joined him in New York City the following year. Augustin and Felicita had four children. His two youngest daughters, Miriam and Wilma were born in New York City. Augustin was a family man who took pride in hard work and providing for his family. He and his wife were devote Christians. They attended their local church where they worshipped and shared in the fellowship. Augustin was not a man of many words but had a wonderful sense of humor. He loved making people smile and always had a cheerful or kind word to say. Even though, the last years of his life he had lost his vision he continued to have a great outlook on life and a strong faith in god. When asked what was it like to be blind at such a late stage in life he commented “I think about the beautiful things in life.” His family and friends will miss Augustin. May he rest in eternal peace. He is survived by his children, Elizabeth De Lucia, Augustin Merced, Jr, Miriam Merced Albarran and Wilma Merced, his grandchildren, great grandchildren and great great grandchildren. Younger brother, Estaban and sister, Quintina, also survive him. The family would like to thank his dear friends, Santa Cruz, and Olga Santos Escobosa. The family would also like to thank the women who cared for him, Gladys Martinez, Jasmin Duran, Yuleisi Hernandez, Ingrid Diaz and Yakira Abed.